Pre-warning: This article is going to get terribly geeky. On my way back from a client meeting at Cannon Street I popped into WH Smith and picked up a magazine called Custom PC. It inspired me to build a new “rig”. Anyone that knows me in a personal capacity knows I like to build and race high performance cars, and recently dabbled into building a custom PC last winter. 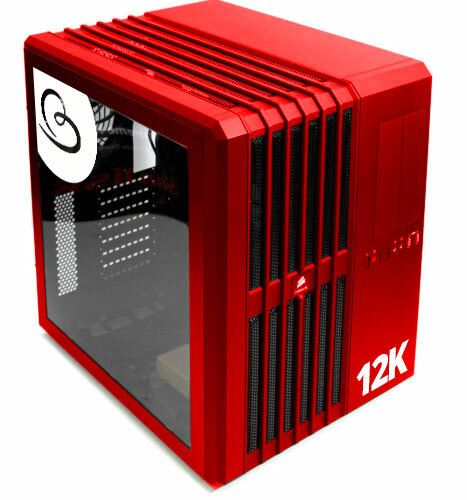 It started when I came across the website Million Dollar PC that inspired me to transfer my ordinary desktop to watercooled custom PC. It’s a steep learning curve when building a watercooled PC, as it defies logic using water to cool electrical components. However, water is an excellent heat exchanger providing there aren’t any leaks! There is a lot to consider when building a watercooled PC; the number of radiators, size of radiators, size of fans, type of water pump, type of reservoir, water blocks, single loop, dual loop etc. After trawling forums and websites, I ordered all the items I needed, and eagerly awaited them to arrive. Once it was built, I overclocked the PC and benchmarked it against other PC’s in the same class. It came up quite high in benchmarking table and I was very happy with that as a result of many hours of hard work. By today’s standards for high end PC’s what I built is “mediocre” but it is still a respectable first build. It was my first dual radiator watercooled setup with SLI running Quad GPU’s on a single loop. Now I want to try my hand again at building a custom PC and see if my experience building fast cars can helps shape the build of a high performance PC. The new build will be running a triple 4k screen setup, hence the name Project 12k. My starting point will be a Corsair Carbide 540. The below image is a Photoshop mock-up, the real thing will be painted a custom candy red. I’m working on a full spec list which will be revealed soon. Keep checking back with the Bravr blog to see Project 12k is progressing.